It's the last day at LFW and it has been the wettest season on record, but that didn't stop us from getting behind the lens to give you the hottest street style wear from SS16. Catch up with the capital's best dressed at London Fashion Week! Another soggy season of fashion done, another lot of sidewalks to rival the catwalks at London Fashion Week and we were right there amongst it to capture all the #OOTD inspiration as it happened. So what if we got drenched in the process? It's not like we were wearing suede boots or anything... (WE WERE). Here's a look at the street style outfits turning our heads at Fashion Week SS16. These girls weren't about to let the downpour ruin their fashion parade. Nah uh honey. 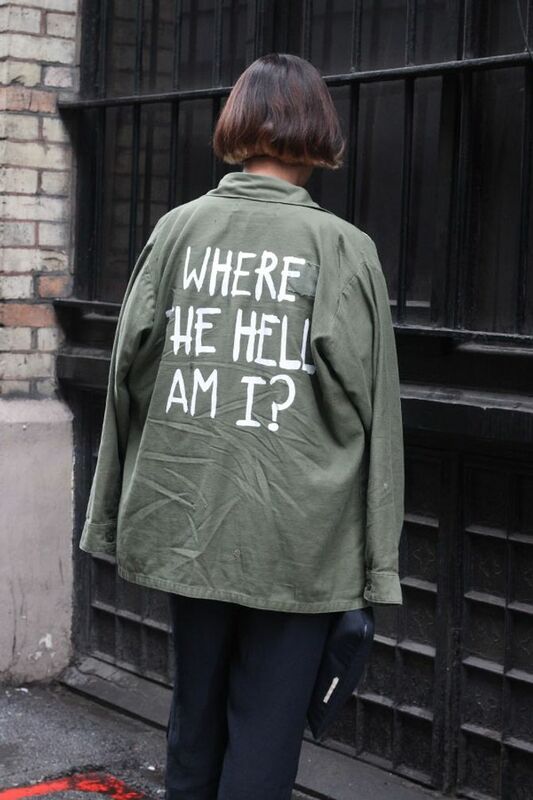 From biker girl getup to slogan jackets, it was game on or go home. And by the way, we don't know where we are right now either so that makes at least two of us. Who gets your vote for LFW #OOTD? Tweet us @sofeminineUK!